Home Animals Do insects get fat? A Florida entomologist in the 1960s found that he could turn about half of a mosquito’s body weight into fat if he handfed it specific foods. More recently, a study partially conducted by biologist Rudolph Schilder at Penn State in 2014 found that dragonflies induced with a parasitic infection build up lipids in their thorax and around their muscles, sometimes making them too fat to fly. Oddly, one of Schilder’s colleagues found that some of the plump dragonflies remained healthy, ended up with stronger flight muscles, and were able to reproduce more easily. The fruit fly was the most prevalent insect studied in regards to obesity. The results showed that fruit flies can get fat and also develop a condition similar to diabetes. The fatter insects also often had shorter lifespans. A fruit fly’s exoskeleton can’t expand once it reaches adulthood, but it can expand at any time before then. This means fruit flies (possibly others insects) can get fat, but it’s more likely to occur in the juvenile stage. In 1947, fruit flies became the first animal sent into space. A single dung beetle can drag over 1,000 times its body weight. This is the equivalent of a human pulling six buses! An ant-eating assassin bug piles its victims on its body to scare off predators. Some male stoneflies do push-ups to attract mates. Reddit.com – Can bugs get fat? NatGeoKids.com – 15 COOL THINGS ABOUT BUGS! Previous answerWhere did the political terms left-wing and right-wing come from? Next answerWhy do members of the military salute each other? 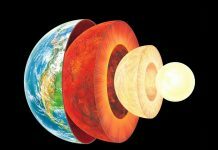 What would happen if I dug a hole through the earth and jumped in it? 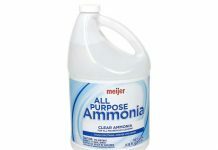 Where does ammonia come from? 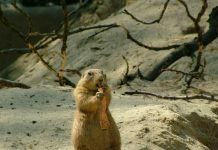 What is Groundhog Day and where did it come from? Concisely answering those random questions that pop into your head throughout the day that aren't important enough to write down and research later.